Export Marketing - Some tips. 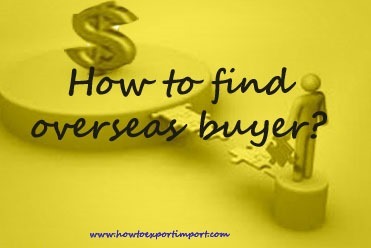 How to get export order from overseas buyers? Getting an export order is the major task of any export business. Every business individual or firm has their own market strategies to obtain export orders. Without receiving an export order, the company can not survive. Beginner of any export firm focuses on the strategies to get export orders to sell their product. How to obtain export orders? I give below some of the tips on obtaining export business order. 1. Digital world changed each human being in the world widely for the past two decades. Information technology plays a vital role in all sectors especially in international business. Before 1990s, getting a contact of foreign buyer was a herculean task. Now world changed like anything. I will always put you as first tool of international marketing as the utilization of internet service. How to use the service of internet in marketing your product? a) As I have mentioned in previous article, launching of a quality website is a reflection of your firm and you can update time to time with necessary information about your product updating. You will get credibility and initial respect on your product and your firm as well. Uploading images of your product, manufacturing unit, manufacturing process etc. boost your reliability in international market. b) Search Engine Optimization (SEO) plays a vital role in searching the content tags of your details by any one looking for a supplier of product similar to yours. c) Joining with Social media like face book, twitter, plaxo, linked in. Do not forget to regulate false comments by proper administration. d) You tube; flicker, e-magazines etc. also can be used to increase your export market. e) Writing articles on your website helps the readers of internet to identify your caliber in the trade. 2. Effective communication plays an important role in business market. If you can effectively communicate with the buyer to convince the quality and price of your product, the buyer will surely take initiation to ask you send sample of your product and later place the order. 3. You can send samples as per buyer’s requirements. While sending export samples, at least two sets of samples to be drawn properly. One you can send to the buyer and one can be retained with you. The sample you retained helps you to match with the sample you sent to buyer while manufacturing or procuring, once you obtained final purchase order from buyer. 4. Attend in Trade fair, exhibit your product. There are many International Trade fairs conducting within the country and abroad, where you can exhibit your product to attract foreign buyers. 5. Export promotion agencies have different source of contacts in international level. They help you to guide proper marketing in the trade. They also extend their services in finding buyers for your product. 6. Commodity Board also plays a vital role in international marketing to help their members to find a foreign market. You can have a frequent contact with them for necessary sales leads to communicate. 7. Government Embassies: Respective Government embassies extend their service in helping exporters to find an international market in their country. 8. Personal meet: Once you have a personal contact, you can visit the buyer in person and generate a good business relationship. 9. Appointing an Agent: Some of the exporters appoint an agent in the targeting country, and through the said agent exporter orders are procured. All the required services are done by this agent including the technical problems if any. I hope, the above tips on how to get export order help you to generate a good business. 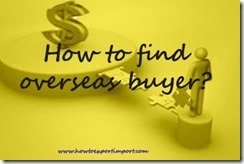 Would you like to share your experience about this subject – How to get export order from foreign buyers? Share your knowledge and experience to add information on this subject about Export Marketing - tips to get export orders from foreign countries. Comment below your thoughts on ‘ How to get Export Order from overseas buyer? Tarun: On 06 November 2013 Sir, please clarify the difference between two terms mentioned on BL "Shipped on Board" and "Clean On Board"
surendran: On 14 November 2013 Hi Vishvam Exports, Please read 'difference between shipped on board and clean on board' in same website. JN exports: On 24 November 2013 Information said above helps me to take steps in initiating first step of my export activity. MUNTAKIM MOSNOBI: On 22 May 2014 I am From BANGLADESH .I intended to set up a import business in Bangladesh.Mainly focusing on Indian cosmetics products and motor vehicle spare parts eg,bike three wheeler of Indian brand .these articles is very helpful.I would like to request u to develop articles to help over seas importers who want to import from India. (Beginners must be in your consideration.) Regards. Vipin: On 11 July 2014 Thanks, good valuable information. Sir we are on the verge of expanding our spare parts manufacturing / distribution business overseas. Keeping in mind the potential of the market we start exploring SriLanka about a month back. Initially its good, having some contacts, personal meetings, sent samples also on request. Everything seems right, but unfortunately still to get a breakthrough in terms of an order. bit disappointing. Please advise what to do. Which are the agencies/organizations who can help us to go further on this by exploring the prospect clients in the country. Philip: On 08 September 2014 Sir how to get a trusted agent for export from india to gulf countries. Deepak Sharma: On 25 September 2014 Sir, I want to start an export business in india and want to know the enitial steps which to be taken by me. DK MAHESH: On 03 October 2014 DEAR SIR ... I HAVE HEARD MANY PEOPLE WORKING JUST LIKE AGENTS AS IF THEY EXPORT ANYTHING ANY PRODUCT THROUGHOUT THE WORLD .I ALSO WANT TO DO THE SAME AND WORK AS AN EXPORT TRADING COMPANY (ETC) CAN YOU PLEASE TELL ME WHAT ARE THE REQUIREMENTS TO START THE SAME . TELL ME FROM THE BEGINNERS LEVEL SIR . rcimpex: On 23 November 2014 Very helpful to me ur details thank you v much. Vikram Ghude: On 24 February 2015 Very nice and conceptual approach to get resolve basic queries in the minds of exim professionals and working for all the levels. Anil Yadav: On 02 April 2015 Respected Sir/Madam i have to export lijjat papad which is famous in the city of mumbai.so i want to know the foreign Buyers who can buy this producct of this good brand.and this is the Mahila Gruh udyog lijjat papad which is the good packaging by the Females of the mumbaikar. srinivasan.p: On 28 April 2015 I am Sree sai imports& Exports from chennai ph +91- 8124348852. This is very useful for all. Thanks for your Advice and Idea. Now give me any improvements Idea. s.kanthavel: On 04 May 2015 I am exporter of garlic, garlic powder.castor oil.and jetropha oil .thanks for your advice that how to export and allied explanations .I want an agent appointment to procure export orders to world wideiam in india. skybloom exports: On 06 May 2015 i am exporter of non woven bags, jute bag and wending bag. i am also suplying wending bag in chennai market. pls for your advice that how to export and allied explanations. I want an agent appointment to procure export orders to world wide. now i am in chennai/india. i know indian customs formaltes also. santhosh vuppala: On 11 May 2015 If ARE-3 misplaced supplier & buyer then how to get a copy of ARE-3? D SURESH: On 13 May 2015 Sir, this is Suresh from M/S SG International exports and imports ,Chennai,India.i want export any products based on the needs of buyer.please help me to find the buyer.my contact no.+91 9790933610. Guru gnana kumar Rajendran : On 03 July 2015 we are making home based idly podi. i want to know how to export and which country. Please Guide me sir. Thameemin Ansari : On 03 July 2015 How to export TENDER COCONUT. sagar kamthe: On 04 July 2015 Dear sir My Self Sagar Kamthe, i am currently working with Uttara Foods & feeds Pvt Ltd, so i want to make business import & export, actually in our company export the Biscuit also production the Feeds then this regarding please you should give me a guidance also consult for the same. Sagar Kamthe : On 08 July 2015 i am currently working with Uttara Foods & feeds Pvt Ltd, so i want to make business import & export, actually in our company export the Biscuit also production the Feeds then this regarding please you should give me a guidance also consult for the same. A.P.Saravanan: On 11 July 2015 Dear sir many thanks for your valuable information we are Merchant of Lungies, Silk sarees From India and i would like to help how can find best country to export my goods and also please let me know about company have been working in this filed thanks and best regards..
KARANDEEP SINGH: On 12 July 2015 I would like to know the procedure to get the order of export.We are manufacturers of two three wheeler components on cnc machines. Sajju: On 23 July 2015 Dear sir/madam, You have given vital information about Export and Import business. What if I want to start a trading base ExIm business instead of manufacturing and exporting? In this case how could I manage to get buyers in case of export and how to I get sellers in case of import; also how could I get parties to sell commodities if I import commodities? Thanks in advance for your reply! SURESH NARAYANAN: On 05 August 2015 How to export TENDER COCONUT. i would like to help how can find best country to export my goods and also please let me knowhow to get export order? please help me. Sabir Qureshi: On 15 August 2015 I want to start export business of shoes how I contact buyer and buying agents. P. SURYA RAO: On 19 August 2015 I am from Rajahmundry, East Godavari District of A.P. And I grow lovely COCONUTS trees and our coconuts are very good. I want to export to other countries. please let me know the proceedure to export. Parmar Bhavin: On 19 August 2015 Hi.! I am Bhavin Parmar From Surat, Gujarat. I want to start export business for readimade clothes, Dress Materials, Kurti , Saree n other stuffs.. I have licence ready for that. I have IEC and other documents ready. Now, please help me to find out buyers for my products. I am hopping for your good response. Thank you. My contact num. +91 9586228889. Joydeb mallick: On 20 August 2015 Hi, I am from India, Kolkata. I want to export Saree, t-shirts, cosmetics, leather products to Bangladesh. If anyone here who are interested to import from me, please contact me on wejoygroup@gmail.com or +65 83160460(Singapore), or +91 9883145991(India). XAVIER: On 02 September 2015 We seek buyers from overseas countries through your service for Indian textiles,garments,rice, pickles, currry powder,cashew nut, herbal cosmetics etc.If we get any order through your service we give attractive commission for you. THANKS. Ramachandran: On 18 September 2015 pls advise, who are all the importers of fruits, raw cashew, waste paper, wood pulp through containers in Andhra Pradesh, India. SANJIB DAS : On 15 October 2015 i want to start a new import & export business, but i have no idea in this field. I have some quarries about this like.. 1. how to creat international marke 2. how to creat buyers? 3. have any organization which are exporting any product. Dr Philip Conrad: On 24 October 2015 Dear Sir/Madam, I hope this mail will find you having a wonderful time.I have a business offer with good profit for you, if you are interested and capable to handle a supply deal to my company. I work as a Lab Scientist with a Pharmaceutical firm here in UK. The company I’m working with is into manufacturing of pharmaceutical materials.There is a rare raw material which the company usually sends me to India to buy. It is a natural seed that is been cultivated in India,used for Animal Vaccine and it is very rare to find.I run the supply prior before now in partnership with an Indian from Uttarakhand in northern part of India. But after the climatic disaster last year in the state, all effort to reach him via email and phone proved abortive. I need a reliable person to introduce to my company here in the UK for constant supply and after each deal is successfully completed,we will share the profit. The business is risk free and the profit margin is very high.I will provide you the contact details of the local dealer in India,you buy from him at a cheaper rate and you stand as the local dealer and sell to my company at a higher price and we will share the profit between us in any successful transaction. Kindly revert back to (royalbromptonhospital@outlook.com) to get the full details and TERMS AND CONDITION of the lucrative supply. Awaiting your prompt response, Regards, Dr Philip Conrad. sozhanbabu: On 26 October 2015 DEAR SIR/MADAM, I am sozhanbabu from india. I am more interested to export food products to foreign countries , I need buyer link to export . IF any one need to import food products means please contact me(E-mail id :sozhanbabu19@gmail.com,contact no:+919043134188) .I can fulfil your need . surendhar: On 07 November 2015 i'am surendhar,i want to start a new import & export business, but i have no idea in this field. I have some quarries about this like.. 1. how to creat international market 2. how to identify buyers? 3. have any organization which are exporting any product. Mehul Gangani: On 19 December 2015 It is very use full information,and very easly understable it thank for such support. Rita mithani: On 20 December 2015 I am in Singapore. And want to import fruits and veges from India. What are the approximate profit margin. How to set up as I don't know anyone in Singapore because I shifted recently. H Malik: On 22 December 2015 I want to start export of garments please help and suggest. karuppusami s: On 23 December 2015 welcome, I am worked in knitted garments field for the past 30 years experience . if you are interested to do the business in Garment Industry please feel free to mail me. I am also interested to do the business / marketing in the Garment industry. kandasamy saminathan: On 26 December 2015 Dears,Iwant to exports in indian spices.pl help&suggest. hussain: On 22 January 2016 My self Hussain I want to star a export business I want some buyer to buy my product I have no idea about international marketing my product is food material like onion,potatoeand dry chilli so I kindly request to give some information about exporting tha product. Ram: On 27 January 2016 Hi, I am from india. I planned to export the palm sugar to other country. Please provide me the detail information about it. That is how i can get the dealers in other country. Thanks in advance for your help. gopal gademidi: On 03 February 2016 Hi sit, i am going to start tshirt business and i want to sell my tshirts on overseas market. So could you please advice me to how to appoint agent to sell my product. And also help me hkw to get ordera from overseas market. m.jithu ak pandiyan: On 15 February 2016 Hai,i want to salce pure tea dust products,and red chilli,and ginger. Mohd Arif: On 16 February 2016 Hello sir,You share Very valuable tips,I am going to Export of Onion and potato to the gulf countries.As I am a beginners so please share about the payment terms and conditions which is secure for us.And please also share which type of stuffing we should prefer port dock stuffing or agent warehouse stuffing.Thank you for your valuable time.I look forward to hearing from your side. Dhanabal, G: On 17 February 2016 I am manufacturing coconuts. Semi husked and fully husked forms available. If anyone interested, please contact me for domestic and export sales. Regards. Helen Moralee: On 17 February 2016 Can anyone tell me what an Anti aging certificate is please and where i obtain one? Priyasha Ray: On 19 February 2016 Greetings! Thank you for your article. I would like to export ethnic saris, designer saris, uniquely designed by me and handicraft items to Canada, Bangladesh, Dubai etc.and need information regarding the same.Also, I have some clarifications: How do I appoint export agents in Kolkata,? Which products and countries are best suitable for export from India? nikhil: On 14 March 2016 hi sir...i want info about buyer and how to achive buyers ? Arjun: On 20 March 2016 Dear sir Please advise how to get the agent for export the builder's hardware products..
R. Gopalakrishnan: On 21 March 2016 sir We r manufacture n Supplier of coconut oil , but we r supplying only in india. We want to export Our Products in Foreign contries. So how to make it. And how we find (Foreign)Buyer n trusted her. Plz give us your Valuable Advice. We need it now. raashid hussain khan: On 21 March 2016 i am exporting semi husked coconuts in dubai.my only problem is how to know the actual rates in dubai while sitting here. rohit: On 23 March 2016 Dear sir, I want export in any country of my product. My product is synthetic multi colour gemstones Please help me.how find buyers? ram gupta: On 03 April 2016 hi sir...i want info about buyer and how to achive buyers ? jayesh patel: On 05 April 2016 Hi sir I will interest to export about shirting material But I have no idea about that and about customers. Dhakshika rajapaksha: On 05 April 2016 Hi sir. I plan to start a business to export live marine fishes. How can i find buyers. Pls help me. Im waiting for you reply. Thank u soo much. Rajkumar K Chetnani : On 07 April 2016 hi sir , i have my own Business of HDPE Tarpaulin and i want to do EXPORT my product so please give me a advise that i can do i. thank you. ramakrishna: On 11 April 2016 Hi Readers, I want to export galaxy granite for other countries .can any one suggest how to find customers and also any one one need granites marbles .please contact me on 9652870524. Thanks all in advance for suggestions. MOHIT KHANNA: On 18 April 2016 We have to start export garment business. But we don't have the export licence. So Kindly request you to brief me the procedure. Sukhjit Singh Dhaliwal : On 18 April 2016 I am Sukhjit Singh Dhaliwal from Punjab & holding import export license but not able to make any deal through. I want to start import export business for this I need your help. prakash: On 18 April 2016 i am n.prakash from chidambaram in tamilnadu. our concern name is srinivasan exports and imports. we got i.e code in 2011 but so far we have not get export order even though being member of infobanc(b2b) and we have so many enquiries, we have not get an export order.we are merchant exporter. Maggie Pyz: On 18 April 2016 name is Magdalena Pyz. I go by Maggie I am in the process of opening my own business. I want to open my own store where I will be importing home decor items from other countries. I live in Canada and I am in the process of negotiating my first shipment with a company in China. The company is telling me that my order is not big enough (too small to produce) and the container will be half empty. They want me order more to fill out the container which will cost me a lot of money. I have to be honest with you I don't have any import/export expertise. I am a law clerk by trade. What do you recommend? Should I also hire a broker? Items will be shipped to Canada. My company's name is Green Eyes Inc.
Dhruv Makasana : On 18 April 2016 I am manager of a company who export tiles. We are exporting tiles in many country but we want to expand in other country. Our company wants a agent or buyer for export if have then help us with data so we both improve in our field Waiting for positive replay. karuppanan: On 19 April 2016 sir i want to export floor tile,wall tile,steel sink to other countries.so pls help me how to and where to export.thank you. Saravana kumar: On 20 April 2016 Really good ideas & steps provided. Very useful for the beginners. Thanks a lot. http://www.narlax.com: On 22 April 2016 i must say that this information is very useful for people who want to start export business.a good website can help alot to start export business. S S Gautam: On 27 April 2016 Dear sir, thanks for your valuable advice through the article that is guidelines to understand the import export business. surekha: On 03 May 2016 we are into mens/womens garment manufacturer,at present shipping to us/ uk . 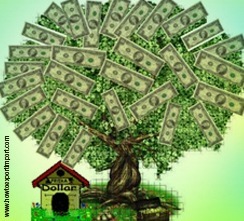 need to know more buyers for exporting, please suggest how we can contacct them and from where will get good contacts. pragati: On 15 May 2016 Hi Sir , I have an export order for tea to russia. But as i have no experience in export , I dont know what to do next. Can you please help me. Dr mubeen Imran : On 19 May 2016 Dear sir I want to supply the raw material of permanent coloured hair oil. irshad alam: On 26 May 2016 dear sir, i am interested to export our product fancy saree,designer saree and dress materrial plz provide & sugeest buyer information. Ghouse Peer K: On 03 June 2016 Sir, i want to export natural stone by using to car parking area, garden walking places, home elevation bathroom slabs etc. Please advice how i get export orders or Byers. Mu.Kalai: On 06 June 2016 We made a device named 'Head Oil Massager' for oil applying to scalp evenly and ultimately as a thin layer by massaging with Infiltrate through the hairs but without wetting the hairs. It supports to prevent to dandruff and itchiness of the scalp with very low oil consumption. It is a new invention and made in India product. And It is user friendly and available at very reasonable affordable price. S. HAMIDUDDIN: On 08 June 2016 Sir, I want to Export Semi glassy and Full Glassy QUARTZ LUMPS (Sio2) from India, who all are interested to Import worldwide please contact to my email with your requirement details to : rafijaffar@yahoo.co.in we export Quartz Lumps as per Buyers Specifications, sizes, Packings, Metric tons required. Bhanukiran Kata: On 22 June 2016 Hi sir,i want to export my handloom silk wedding sarees to other countries.so please help me how to export the goods. My contact no-+919490433623. Thank you. TR Palanivel: On 28 June 2016 We want to export coconut and coir pith...what is the potential in this field?.. Harry: On 28 June 2016 Hello, Useful Tips, a starter can get required details in your Blog. Great work. Am a starter too. May you touch the heights. Best Regards. Kevin wang : On 28 June 2016 Fabulous, and I will follow the same to approach potential clients across the world. our major business is fresh garlic or garlic product, please contact me at kenysw@sina.com or skype: kenysw.wish our garlic will bring you profit. Asif khan: On 11 July 2016 Sir, we are wholesaler of cotton readymade designer shirts located in Gujarat state. we have been in this business over 7 years, Now we are planing to expand our business in overseas. So I m looking your valuable suggestion as beginner, How to get buyers in overseas? is there any payment security option, if in case payments is not made after getting delivery of product. Please brief me detail idea to get started, if you revert me via email, your cooperation will be highly appreciated. thanks !!! kajamaideen n: On 17 July 2016 Sir, I want to export pilows,beds, cushions how to export foreign and which countrys need this items..
Humayun Kobir: On 18 July 2016 Dear sir, I want to start business Kolkata to Bangladesh. Please help me how to start business Kolkata to Bangladesh? prabhat raj saxena: On 04 August 2016 Dear sir i want to export vegetable overseas.but i have no idea about that.can you provide me a guide for export and import. sajal debnath: On 14 September 2016 Hello sir, i am sajal from india. i want to export jute bags. But i don't know that, how to find buyer. please help me for find buyer. Dharmendra: On 19 September 2016 Hi team great work ,I want to know to can I search international buyers for my garment business. Hai sir, We are planning to export food materials. what is the procedure? : On 20 September 2016 Kindly provide us the information about the food safety guidelines, if we are making ready made foods. Gandham Bujji: On 13 October 2016 Dear sir,I want to export processed food products like rice flakes.so please help me how to find international buyers. senivasan: On 30 October 2016 My friend having the business of organic liquid sope solution for cloth washing, it is having very good performance. He wants to export Dubai & other countries.How can we get the good & loyal business partner. C.G.ASHWIN KUMAR: On 02 November 2016 I want export coconuts,please suggest me how to go about it. Kawsar Ahmed: On 09 November 2016 I am searching Germany, USA, Canada buyer for garments all items to export from Bangladesh with maintaining 100% quality. Ashfaque: On 11 December 2016 I m in to textiles..make varities of quality i want to export finish materials. Can any one help me. JITU PATEL: On 31 December 2016 DEAR SIR/MADAM, I am jitu patel from india.We are manufacturer of henna based hair color & all type cosmetic products. I am more interested to export cosmetic products to foreign countries , I need buyer link to export . IF any one need to import cosmetic raw materials means please contact me(E-mail id :eagerindia2016@gmail.com,contact no:+917558443194) .I can fulfill your need . Begraj Singh: On 27 February 2017 I am stationed in Delhi NCR. I am interested in exporting vegetable seeds, flower seeds, soap stone,handicraft articles etc. Please help me to find foreign buyers! INFANT VINO: On 09 March 2017 Hi, i am from a buying agancy, Is it possible to ship products from two different suppliers(Exporters) for a same buyer in a single shipment? chandan sinha: On 11 April 2017 1)i intented to set up a export business for gourmet from india to bangladesh ,so what will be the enitial steps for me? ( 2)how to get trusted agent for this business ? Murtaza kandil: On 14 April 2017 I am new in export business for cotton waste. Buyer has asked for samples . There is an agent dealing on buyer side and agent dealing on seller side. My question is should i ask seller side agent to send sample directly to the buyer side agent ? Or ask seller side agent to send me samples first and i should send it to buyer side agent to give it to buyer. I am jus afraid if i introuce each other at this point. They might cut me off and deal directly ? What happens normaly please advise ? Markita Heard: On 11 May 2017 Im located in the United states and I have ton of use cars for a low rate. Mercedes Benz, GMC, Toyota, Honda,Hyundai, Ford, Nissan, Infiniti, Acura, Chrysler, Jeep,Bmw, and more.Looking for a partnership to export to other clients and dealer out side the U.S. The United states has the lowest price, so you will be able to resell for big profit.Contact me 754-204-6653 I can beat any price. Export 2 or more cars I will give you $500 off any car.I WILL BEAT ANY PRICE AND I CAN GET ANY CAR!!!!! Tapan Ghosh: On 16 May 2017 Respected Sir, Myself TAPAN GHOSH,i want to Export my jute bags and jeans item from where I'll start plz guide me. caterinafabian: On 18 May 2017 I start a e-commerce business with Tamil -Tshirts, Please give the ideas more ideas to improve my site. Himtha Ram: On 28 May 2017 Sir I'm planning to craft leather products, is there a potential exporto market? Do u have some ideas of how much will it cost me initially for such setup? Durlov Ghosh: On 11 June 2017 I have visited your website. There I got your email id. I live in West Bengal. I want to start an import export business with Bangladesh through Benapole border. Sir, kindly help me to know the procedure. Abhinav Ghadi : On 13 June 2017 Firstly i would thank you from the bottom of my heart for your great work through your site helping lots of individuals starting a export business. Sir, i want to ask whether i require any license if i want to export food products which already has fssai license ? And also i want to know the requirements for exporting food products into gulf countries. bala: On 03 July 2017 i am a mfrs of coir products from south India. any one guide me to market my products to europe and china. halliot paul: On 18 July 2017 my name is hallliot paul i am here to tell you that we have a new importing company which is halliot exporting company and we export goods online and if you are in need kindly contact this email now at halliotpaul@hotmail.com. Amar Nath Poddar: On 20 September 2017 Dear Sir, I have my own factory of 5000 Sq feet in Kolkata, I am manufacturing Various type of Jute bag for my exporter client since 2002. Now I want to Export my products of Jute bag directly, I am register with D.G Foreign Trade having I.E.C code. And registered in all other place as required. Please help me how I will start my export bushiness. And how I can select agent for procured order from buyer on my behalf on commission basis or in any other term. Mohaan: On 29 September 2017 Dear Sir/Madam I am doing my pickles business in India Veg and non-veg pickles so now i want to start my pickles export with best quality so please tell me simple methods are any agents available in ap near Vishakapatnam.Thank you.cell:9959913087 /9100232242. Reddy KVS : On 30 November 2017 Dear Respected sir, We are looking Rice Importers from overseas on long term basis only. So, kindly enroll my name and send the full details of Terms & Conditions of Information to my mail iD: vanamaali.9999@gmail.com This is my humble kind requesting to u sir. Best Regards, Reddy KVS Bengaluru. City, India. BALJEET SINGH : On 14 March 2018 I am very keen to start an import-export business, primarily in the field of Woodpulp import and supply to paper mills in India and export the paper/ paper products to other countries. My own cousin runs a small sized paper mill in Punjab and I have adequate experience in management of the mill. Kindly guide especially on the following issues: a. which are the best countries to import wood pulp from? b. Likely cost factors of import c. Best countries to import paper waste from and the cost thereto? d. Best countries to export kraft paper or corrugated boxes etc. Pankaj Shah : On 14 March 2018 Sir, I am a trader of Old Corrugated Cartons and supply it to Craft Paper Mills for Recycling. Now, I want to Import OCC - Old / Used / West Craft Paper Corrugated Boxes from International Market. I am having my Import / Exports Licence. As I am a trader, can I Import this material HS Code : 47049000, on My Own Name and then supply with my Billing to my customer ? LOOKING TOWARDS YOUR BEST CO-OPERATION. Pankaj Shah. arun : On 14 March 2018 Hi, I checked your website & wanted to know if your co. Also imports particular products for buyers in india from Japan. ashok: On 27 March 2018 we are manufacturer of soft gel capsule finish products . how can we start exporting our products . Rahamathullah Abdul Jabbar: On 30 March 2018 I am a begginer, a retired person who wants tostart online business, whats your advise. Impexed: On 17 April 2018 Best article for beginners. Thanks for sharing this information. Rajesh: On 22 April 2018 Greetings !!! I am Rajesh, , I am doing Affiliates & Products Promoter on Commission bases Online to generate Sales. (Showcase your Products) I would like to do business with you. Please let know your requirements. Kindly respond back to me and lets see what we can do together to expand and profit. Thanks in advance.